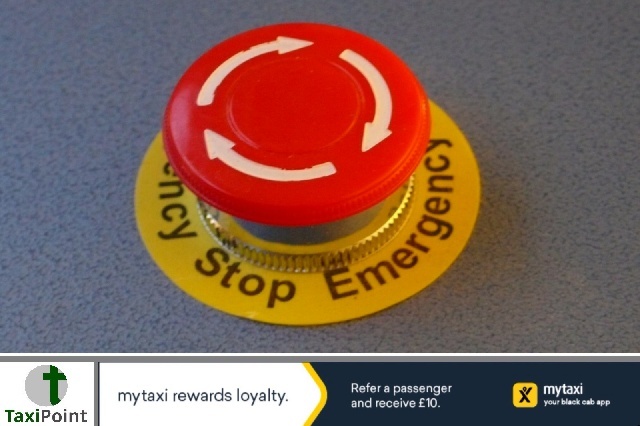 The imprint of a woman's face was left on the back of a cab drivers headrest when he was forced into an emergency stop while ferrying a trip across Glasgow. 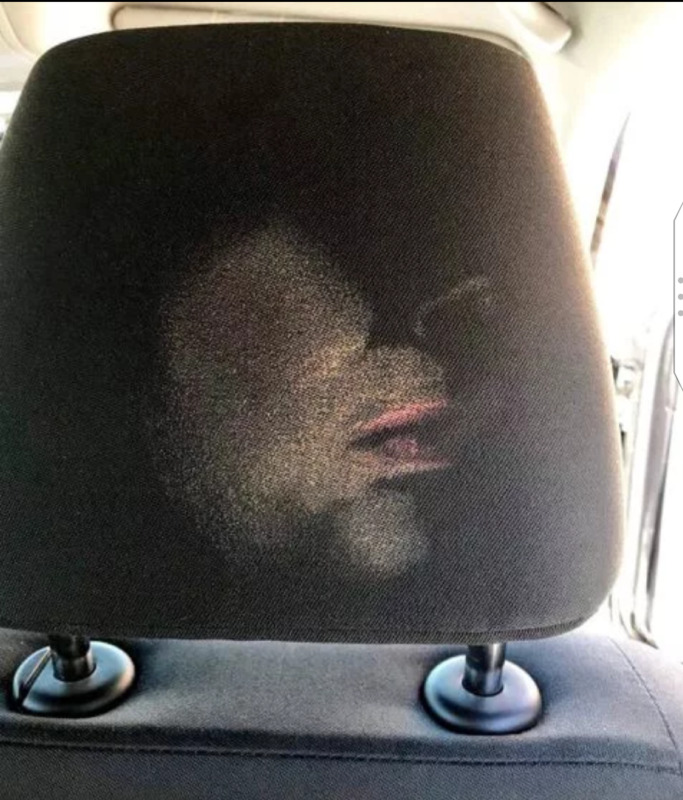 Cab driver Jim McNee was unaware of the spooky image left by the woman's make-up until the next day when a male passenger pointed it out to him. The image soon became a hit on social media racking up more than 26,000 likes on Twitter. Jim has now left the imprint on show for all his passengers to enjoy a laugh over. Jim was forced into an emergency stop when the car in front suddenly stopped. His female passenger who had a face full of make-up, who clearly wasn't strapped in, was thrown forward with enough force that the whole side of her face left a perfect, some would say "artistic" print. The female passenger was left unhurt and even laughed about the incident it was confirmed in the metro online. Jim's son, Jamie has said his dad seems to be enjoying his newfound internet fame.